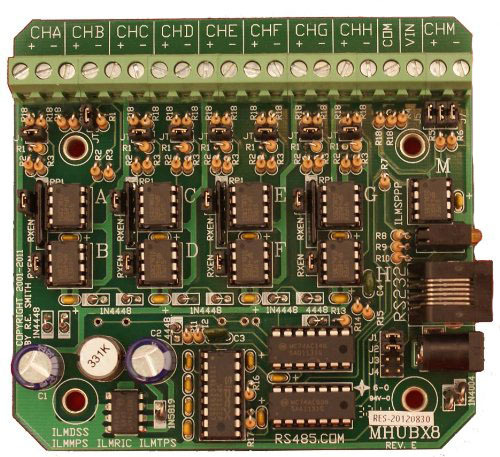 This unit features isolated full duplex serial conversion(4 wire RS422), or half duplex(two wire RS485), to a pair of ST 62.5 micron multimode ports. 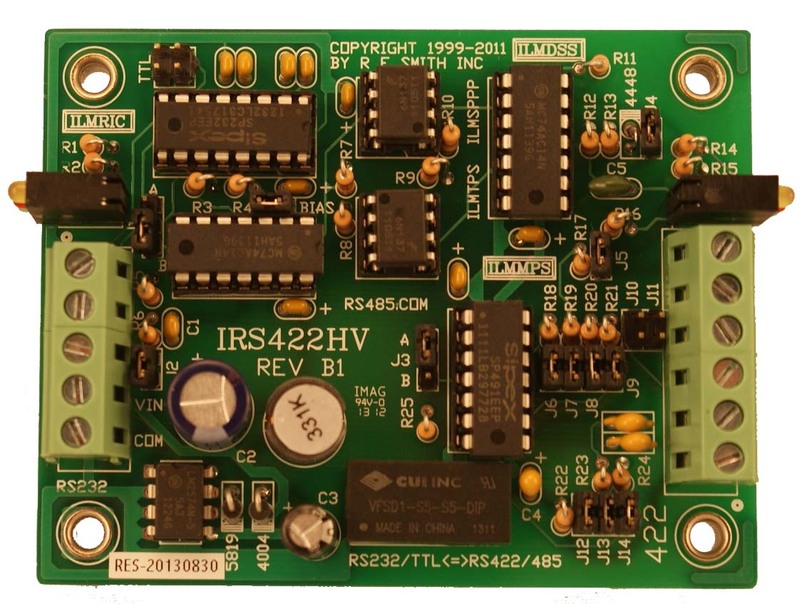 Functionally identical to the F422CADJ but features 3KV opto isolation between the RS422/485 and the Fiber ports. 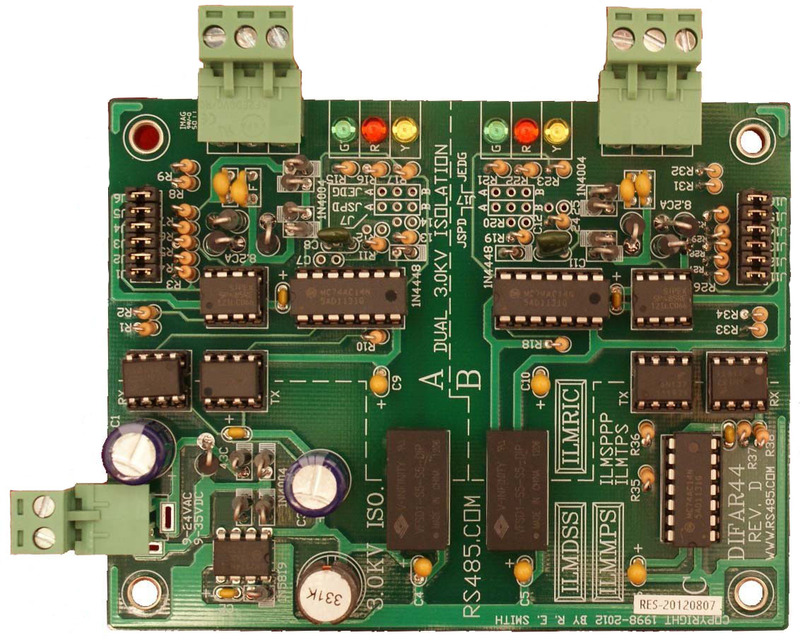 The onboard switching regulator is additionally 3KV Xformer isolated from the RS422/485 circuitry. This multi-level isolation, and the inherent noise immunity of the fiber cable allows reliable communications in environments that are hostile to other methods. 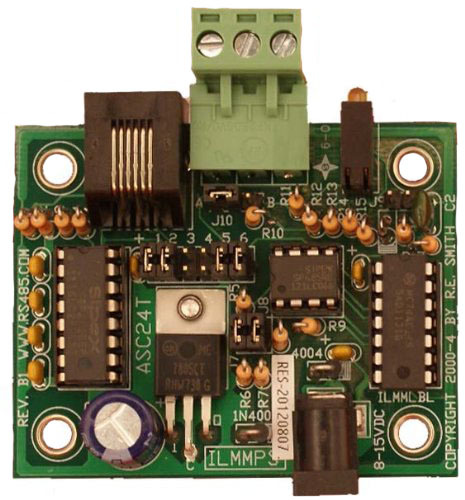 Optimized for isolated office/indoor/outdoor point to point or multi-drop systems. Jumper J13 can further shorten the turn-around time to accommodate fast responding target devices. Jumpers J4 thru J9, permit the termination and bias resistors to be user configured. 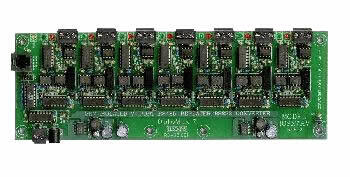 Jumpers J2, and J3 allow the fiber transmitter power, and receive bandwidth, to be adjusted for short fiber distances. 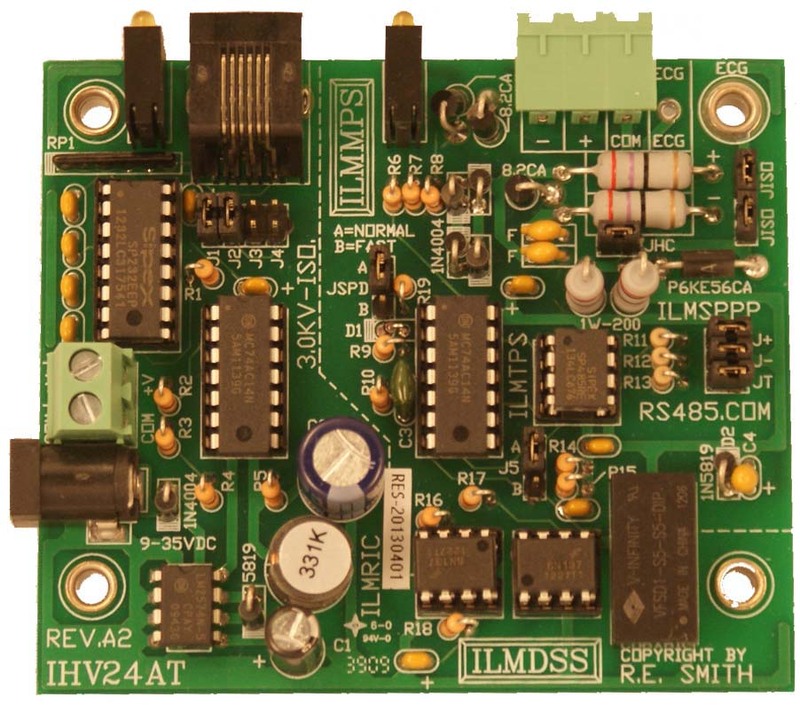 The robust RS422/485 drivers allow 32 standard loads at 4000 ft. at all data rates.